Over the past week we’ve seen an outpouring of peaceful protests and direct actions as Baltimore residents express the pain of economic inequality and seek justice for victims of state violence. 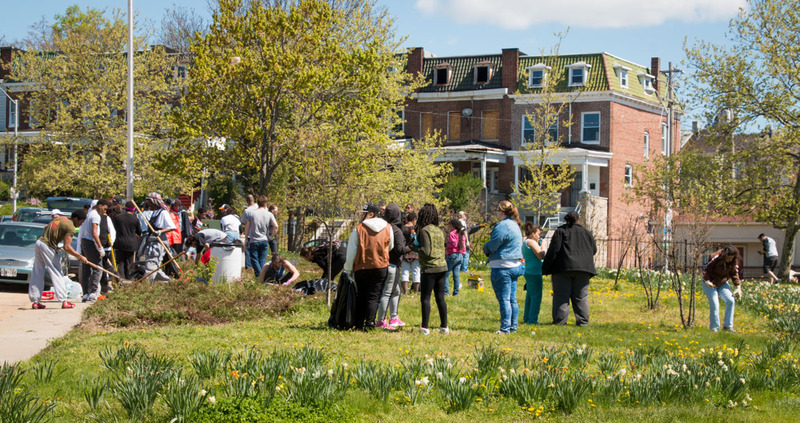 Out of respect for the Baltimore Uprising, I have cancelled the May 2 New Public Sites “Formative Drift” walking tour so that we can focus on helping our neighbors. On Tuesday, April 28, we came together to clean up our neighborhoods and share public expressions of positivity. This is the Baltimore we know and will continue to nurture. Lets stand in solidarity of the people of Baltimore in this struggle to bring peace, opportunity and improvement to our people and places. Bmore United is a coalition of concerned citizens and organizations working for justice in Baltimore City. The No Boundaries Coalition is a resident led community organization working to bring neighborhoods in Central West Baltimore together across race and class. Leaders of a Beautiful Struggle is a grassroots think-tank which advances the public policy interest of Black people, in Baltimore, through: youth leadership development, political advocacy, and autonomous intellectual innovation.